The Auction of Washington Wines (AWW) announced today that Beth McCaw, President and CEO of Washington Women’s Foundation, has been elected President of the AWW board, effective immediately. McCaw has been serving as the Community Co-Chair for AWW since 2016, where she has been a critical part of growing auction proceeds from $2.5 million in 2015 to more than $4 million in 2018. McCaw, a North Carolina native and a former partner with the Seattle-based law firm, Stokes Lawrence, P.S., brings with her strong legal and philanthropic expertise. She has been with the Washington Women’s Foundation since 2009 and currently serves on the Boards of Directors of the YWCA USA and Bellevue LifeSpring. 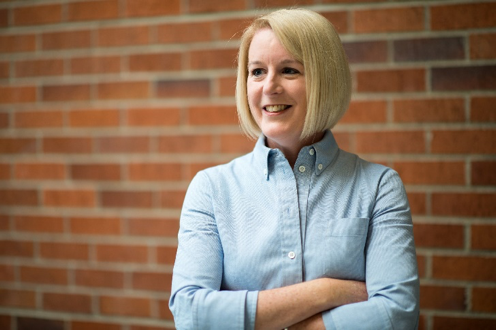 She holds a Masters in Not-for-Profit Leadership from Seattle University, a J.D. from University of Georgia School of Law and a B.A. with honors from Davidson College. The 15-member board of directors includes representation from the business community, wine industry and philanthropic leaders. McCaw replaces Sam E. Baker, of Oles Morrison Rinker Baker LLP, who has served as Board President since 2015. He will remain on the AWW Board as a member. Next year’s AWW events will take place August 15-17, 2019. For more information about AWW, please visit http://www.AuctionofWaWines.org. Since its inception in 1988, AWW has raised more than $46 million, benefitting Seattle Children’s Hospital and Washington State University Wine Science Research. Events hosted by AWW give wine lovers the chance to support the Washington wine industry and families in our communities around the region. The 2019 Auction of Washington Wines will take place August 15-17, 2019. Major sponsors include Wells Fargo, Chateau Ste. Michelle, Ferrari of Seattle, The John L. Scott Foundation, The Seattle Times, King 5 TV and Wine Spectator Magazine. For more information, go to http://www.AuctionofWaWines.org. Beth McCaw is elected as the new President of the Auction of Washington Wines Board of Directors.